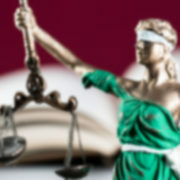 Tibbs Law Office is excited to now offer private mediation services for family law disputes. 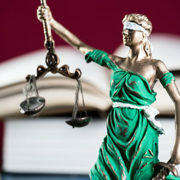 In family law disputes, such as a divorce, you may believe that court is where you need to go — you’ll have your day in Court, justice will be served, and you and your children will have “won.” Unfortunately, people often underestimate the impact that litigation has on a person individually, and on the family as a whole. For example, the process of obtaining a divorce involving children can easily last one year, often longer. By the one-year mark, parties are often fatigued and generally frustrated by the litigation process. Frequent complaints include having to take time off of work for pretrials, the Court not being on schedule, spending an hour in Court, yet only several minutes in the Courtroom, and of course, the financial cost of going through a lengthy court process. Once the final trial has finally occurred, it may take several months until the Court issues a Decision. Even if you “won,” you may find that the Decision ignores major things that were really important to you. For example, perhaps the Court grants you full custody of your children, but the schedule the Court ordered is completely unworkable for your family. You, your ex, and your children all hate it. At the end of the litigation process, you’re left with an outcome that may not feel like such a “win” after all. Because of the personal nature of family law cases, we believe that parents, not judges, should decide matters that will affect what is most important to you, when possible. In our experience, parties who reach their own agreement, compared to having a judge decide their family’s fate, are happier with the outcome. More these reasons, among others, we understand the value of a mediated agreement. To learn more about mediation, visit our website, or contact us at (513) 793-7544 to speak with one of our mediators to discuss whether mediation is right for your family law matter. We get a lot of questions about arbitration and mediation. There are many differences between arbitration and mediation. One difference is that arbitration is binding while mediation is an agreement between the parties and is not binding or enforceable unless and until the agreement is made an order of the court. In arbitration, a third party or panel made up of several individuals, hears both parties’ arguments and makes a binding decision. Usually, arbirtration is used because there is a clause in a contract requiring it. It is most often used in a business setting where “thoughts” and “feelings” are not a factor. Mediation is usually used in family law matters or matters involving relationships, relatives, and parties that will have to work together after the court case is over. Mediation is often chosen over a trial in in family law cases because there is a general aversion to having decisions mandated by a court. 1) The mediator is not interested in finding a fair solution- the mediator is interested in finding a solution the parties can agree upon. You may be thinking: “Well, if the parties agree, then the agreement must be fair.” Not necessarily. If the power between the parties is not balanced, if one party is more educated, if one party has greater knowledge of their rights, or even if one party is just not able to stand strong when faced with pressure from the other party, then the agreement may not be fair. You must keep in mind that you are in mediation with someone you have an existing relationship with, those patterns of behavior have already been established and will continue through the mediation. 2) The only way to reduce the risk of having the standards of the relationship dictate the outcome of mediation is to show up to mediation with counsel. Having an attorney present can be helpful because the attorney can provide information on what the court might do if it were making the decision. The only way you are going to know what the court would do, is if you have counsel. 3) Having counsel present is not only going to help you but it will also help the other side. Once you have the knowledge regarding what a court might do, you are able to make better decisions regarding where to compromise and where to stand your ground. 4) Do not simply ask the other party what he/she wants, you must ask “Why do you want that.” Often times you can satisfy their “why” without giving them what they originally asked for (this is really important if they are asking for something that you want as well). You should also use this line of thinking when you are negotiating and asking for certain compromises. If you can satisfy your “why” without taking something they are going to fight for, both parties will be satisfied. The attorneys at our firm are in the process of becoming trained mediators and look forward to offering this service to clients in 2018.